Gary was his name. He looked just like the Milky Bar Kid. I will tell you all about him. Back in the eighties, my older brother had one of those Commodore 64 computers. I was not allowed anywhere near it. His friends would come over and play computer games with him. Don’t ask me what they played. I am sure my parents would not have allowed anything violent. If you are half my age, you might not know what a Commodore 64 is, but most people my age and especially those a little older than me will have either fond or not so fond memories of them. By the way, what on earth is going on with modern computer games? I know there are some happy little games, but there are others, very popular games which seem to be training players to have no conscience whatsoever. That reminds me…I have a post in my drafts folder about a guy I used to work with who used to play violent computer games all night. You wouldn’t believe what he went on to do! This post though is all about Gary. Gary was one of my brother’s friends. Gary, Mike and Simon were frequent visitors to our home They were all lovely teenage boys, but especially Gary. He had white blonde hair and the sweetest boy looks. He was a little older than my brother, but looked younger because he was shorter. When Gary was fourteen I would have been around four or five years old. I absolutely adored Gary! Everyone did. He was so so sweet. He was polite and happy. Mumma tells me she remembers Gary offering to help her in the kitchen or doing some shopping on his way over to make sure the boys didn’t raid the fridge and cupboards of food that Mum had bought for feeding a family of nine. Mumma always said Gary was one of the most considerate boys she knew. I was always excited when Gary was coming. 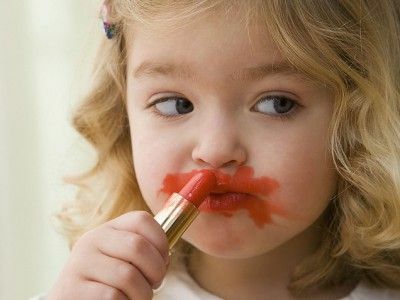 I used to put some of Mum’s lipstick on and put on a pair of her high heeled shoes. I would stand on the kitchen bench and call out to Gary “Kiss me Gary! I love you!” My brother and his other friends were understandably in hysterics (though I think my brother was a bit embarrassed that I kept badgering Gary). I was too young to understand how very silly I was. I just remember thinking Gary was wonderful. Gary stopped coming to our home as often as the other boys. I missed him. I wanted to tell him all about my experiences now that I had started primary school. Gradually, I started to pick up on adult conversations that were carried out near me. I realized everyone was worried about Gary. Something was wrong. The way my parents explained it to me, was that the Doctors had found a lump in Gary’s neck. They were going to use some special medicines to try to shrink the lump. Then I heard that the medicine was not working. I heard that Gary was going to have to stay in hospital for a while. The funeral service for Gary was not long after. I made sure I went this time. I had read the Bible from cover to cover in those few months and I did not feel as distraught this time. In fact, I felt Gary was now asleep, safe from this lump in his neck that had been causing him so much pain. I was convinced that sleep was temporary. I remember being disappointed because Mum would not allow me to wear her lipstick that day. There were a lot of people there. A lot of people were crying. I went over to Gary’s parents and hugged them both. I told them who I was and explained that I loved Gary and wanted to marry him. They were very sweet to me. I told them that when Gary wakes up again in the future we will have a wonderful welcome back party for him with his favourite cake and Cherry Cola (I remember him drinking it). I got to know Gary’s family later on. His siblings always struggled with his loss. His parents still well up with emotion talking about Gary thirty years later. Mum told me it was a huge shock to them at the time and was made worse by a quack extorting money out of them and giving them false hopes. Gary has always been a part of their life. I am sure not a day has passed when they don’t think of him. So many others who knew Gary remember him still. My friend Kelly, who is my age, told me she also had a crush of Gary, and that her older sister Sharon did too. We were all quite smitten with him. Our parents all loved him because he was so sweet and considerate and well-behaved. Whenever any of us saw a Milky Bar, we started talking about Gary. 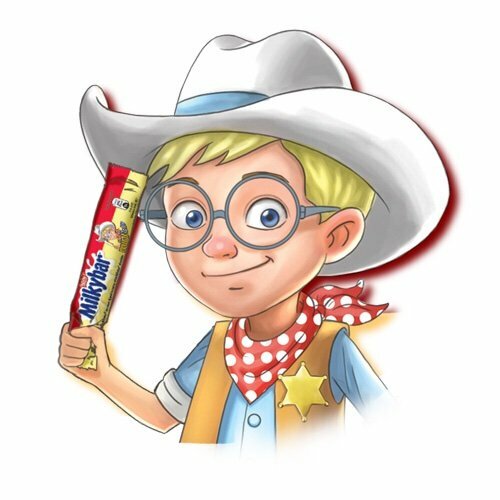 We all made the connection between him and the Milky Bar Kid. Aaaaaah – Gary – the Milky Bar Kid. Like so many others, we long to be reunited with you! What a precious memory. I’m glad you made it to his funeral. Thank you for sharing! He is someone I wanted to write about for a long time…I felt so much better about making it to his funeral too. It was a chance to show love to Gary’s family. I had a few tearful moments when I was thinking of him typing up this post. But it makes me smile when I think of him. He is still a person who makes you happy just remembering him. Thank you Sadje. He was such a sweetpea. It felt good to share him. There are things that happen in our childhood that always remain with us. ….I often thought of Gary all the time I was working in palliative care and with terminally ill patients. I counted it as a privilege to give the best possible quality of care and to show love and support. When you have had someone dear to you suffer, it is a great impetus to show love to others in the same boat. Indeed, it does. But these adverse circumstances don’t always affect people in the same way. It’s the goodness in you that you have been even more caring and loving to people in pain. That was such a sweet story but with such a sad ending. Thank you. Sweet and sad pages to all our lives hey!